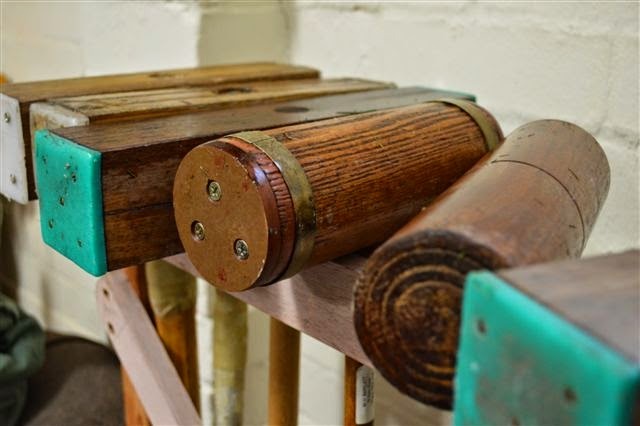 Croquet and gateball are fun sports suitable for the whole family. They are easy to learn and enjoyed by people of different ages, fitness, health and abilities. Play casually - as a visitor, using the club equipment - or become a member. Simply join us on Saturday or Wednesday (weather permitting) for traditional games of croquet - golf, aussie, ricochet - or on Monday or Thursday for gateball. Check the Come and Play tab for playing times. 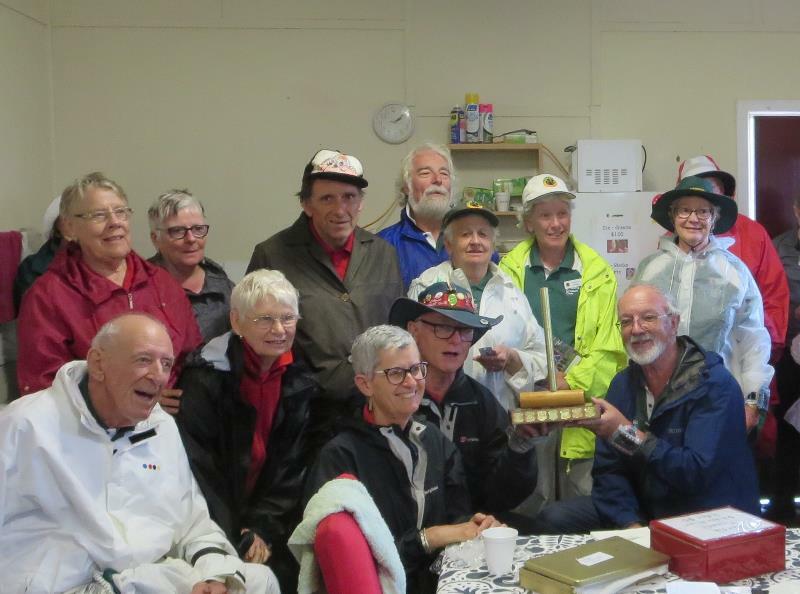 Our third annual gateball tournament took place on February 24th/25th. 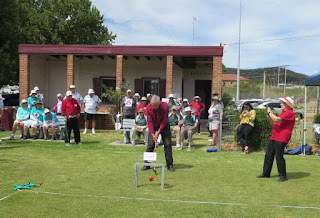 Lithgow Mayor, Stephen Lesslie, opened the tournament with the traditional shot through our 'ceremonial gate'. Two years ago, as a thunderstorm raged around them, the Lithgow players were pondering suitable names for their team. Lightning was a natural choice and, as the number of players grew, teams Thunder and Storm joined the list. So it is fitting that this year's competition should have gone out with a bang. Forecast storms circled around the town throughout Sunday but all games were completed – until the final was due to start! The round robin was very even, one team on 4 wins, 5 teams on 3 wins and one on 2 wins. The knockout provided some interesting games and finally the two finalists were decided – Canberra and Lithgow Lightning. But as we prepared for the final, thunder and lightning descended and a discussion took place between the two teams who agreed that the last game should be abandoned and a draw declared. 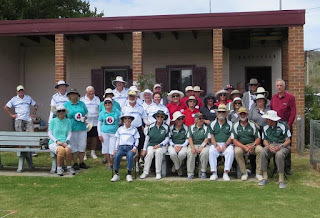 Pictured here are the members of the two winning teams, Canberra and Lithgow Lightning. 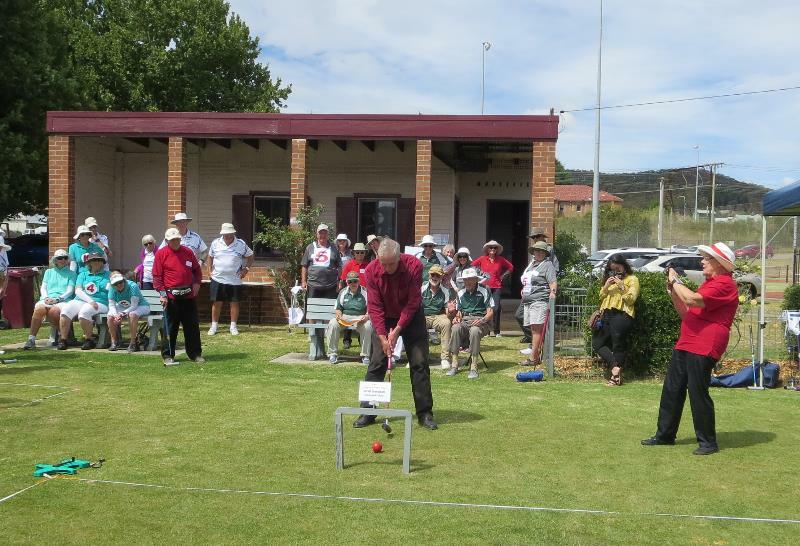 The Lithgow Mercury gave us fantastic coverage of the event, as you can see here. 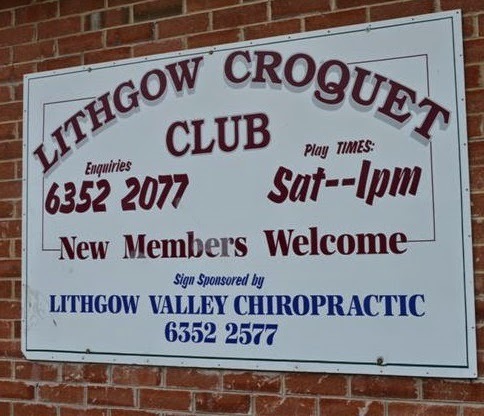 Copyright 2014 Lithgow Croquet Club. Simple theme. Theme images by TommyIX. Powered by Blogger.